At the MTNA conference this month, the election results were officially announced and I was sworn in as MTNA President-elect. I am deeply honored and humbled by this awesome responsibility. This means that I will be MTNA President-elect for the 2019-2021 biennium (and then MTNA President for 2021-2023 biennium, and Immediate Past President for the 2023-2025). I am excited to serve MTNA in this capacity and to represent the great state of Indiana in doing so! With immense gratitude, I thank all of you for being a part of this journey with me – who I am today is partially the result of everything that we have done together over the years for IMTA, starting way back in the ‘90s when I began my IMTA experience as newsletter editor. Thank you for supporting me in the recent election (and prior elections too!). Congratulations to Winners of the 2018 State MTNA Competitions! On behalf of the teachers of the state of Indiana, the IMTA Board of Directors has voted to donate $500 to the MTNA Benevolence Fund. The fund is solely used for the purpose of helping teachers who have suffered a loss in their studios due to natural disasters. In the wake of all that has occured over the recent months, your IMTA Board asks you to also consider a personal, tax-deductible donation. For more information on the MTNA Benevolence Fund, visit the MTNA website. Music Teachers National Association is now offering members a new and wonderful opportunity – an eFestival. The MTNA eFestival is an online-only performance opportunity where you receive constructive comments from a highly-qualified evaluator. It’s perfect for those living in remote areas, have upcoming auditions, performances or competitions, anyone with performance anxiety and more. The more you perform, the better you’re going to be! MTNA/IMTA members can learn more in-depth details about this eFestival from a webinar hosted by MTNA eFestival manager Amy Immerman. Visit this link to log into the members-only area of the MTNA website to learn more. The 2017 MTNA Conference in Baltimore, MD is just around the corner. If you’re attending, here is a listing of all events that are related to Indiana and our members. Please join us in supporting our fellow Indiana colleagues and students! Indiana Music Teachers Association Past President Karen Thickstun is on the slate for the 2013 MTNA elections. 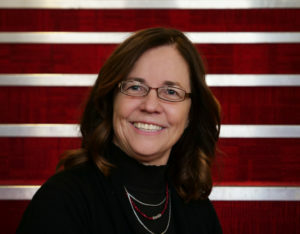 Thickstun served as director of the East Central Division and member of the MTNA Board of Directors from 2008–2010 and chaired the Local Association Forum. Thickstun has served on the MTNA nominating committee, Standing Rules committee, Local Association of the Year committee and is currently chair of the Affiliate Grants committee. Thickstun is currently on the faculty at Butler University where she serves as the director of the Butler Community Arts School. MTNA provides a sounding board and clearing house for members who have questions of a pedagogical or business nature. For more information, contact the MTNA National Headquarters at (888) 512-5278 or e-mail professionalsupport@mtna.org. Assistance has been provided in the following areas: information on grants, music, acoustical standards of building a new music facility, ASCAP issues, Certification, copyright issues, developing a plan to become a music teacher, creating relationships between other music organizations and local MTNA affiliates, music merchandise questions, prospective member information, lesson fee structures in the United States, assistance helping a member supplement their dues through local and state support, health insurance, finding music teachers around the world and more. Legal issues have been in the matters of copyright, employee contracts, buying and selling music studios, contractual arrangements with ensembles and partnerships, zoning issues and more. For more information visit the support line. MTNA is offering these educational opportunities during 2012. So save these dates and plan to attend! MTNA, in partnership with the Canadian Federation of Music Teachers’ Associations, will host Empowering The Whole Musician—Mind and Body at the Yamaha Artist Services Facility in New York City. This three-day event will offer strategies to help attendees remain energized, injury-free and enthusiastic teachers and performers. Speakers will include Vanessa Cornett-Murtada, Julie Jaffee Nagel and Kathleen Riley. For more information, visit the MTNA Website. The National Group Piano and Piano Pedagogy Forum will again be held in Austin, Texas, on the University of Texas campus. This two-day event will concentrate on the specific needs of college and university teachers of group piano and piano pedagogy. Time to renew your dues! It is time to think about renewing your MTNA/IMTA and local association membership for the 2011-2012 year. The national office sends renewal notices in April every year and hopefully you’ve received yours via email and/or postal mail. I encourage you to renew as soon as possible so that you’ll be sure to be in our current IMTA Directory/Membership Handbook. Renewing membership is FAST and EASY online. Visit www.mtna.org. Be sure to update any personal information while you are there. If you have any questions or concerns, do not hesitate to contact me.